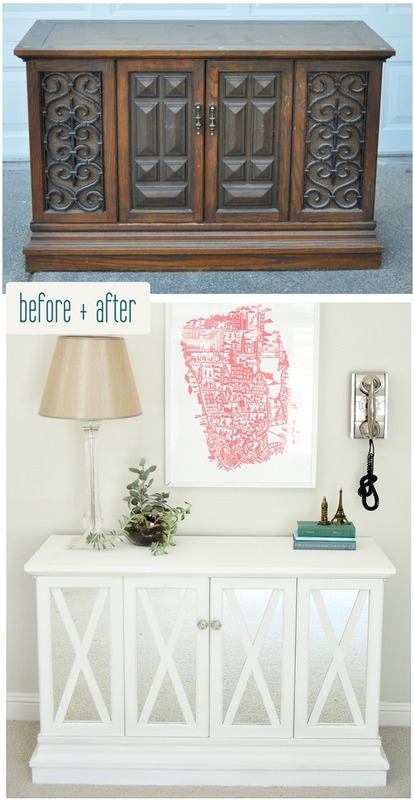 Check out this $10 Thrift Store Cabinet Makeover. A lot of times you’ll see old cabinets in thrifts stores with good bones except for the ugly 1970s brick-a-bract on the front. No amount of paint will take away the dated look of a cabinet like that. But this makeover has a pretty simple solution to the problem–take all the ugly stuff off, replace it with something attractive. Of course!